A very happy Christmas to everybody, I hope you all enjoy a great festive period and are ready for 2014 in good health and spirit. I must admit it does seem a bit a strange wishing you all a Happy Christmas when us lucky people here in the Algrave are experiencing such remarkable weather. The last six weeks have truly been magnificent, with clear blue skies and very warm temperatures. Enjoy it whilst we can. 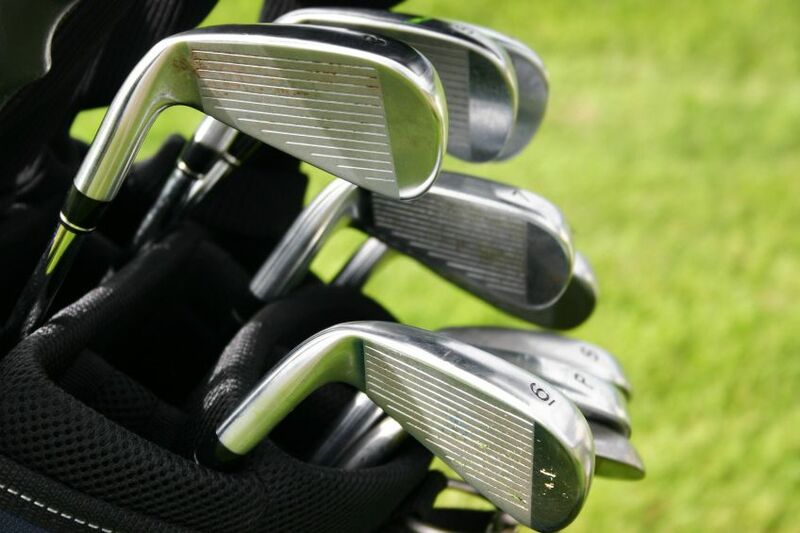 I also hope you have enjoyed your golfing year here at Floresta Parque Golfe Clube. A year in which I believe we have seen the Resort move forward in a very positive manner. The course and surrounding areas have improved immensely in the last few months, which is down to the hard work and effort of Isabel and her team, along with the continued support of you the members. Everybody’s patience including that of all the very loyal staff to which we greatly thank, is now beginning to pay dividends. Moving on to golfing matters, at the beginning of the month we had our usual Christmas Hamper Competition. As always the event was well attended and this year the competition was won by Rui Gloria, with a certain Mrs Lanario coming second, congratulations to all the winners and I hope you all had fun that evening. Congratulations also to our Interleague Team who won the club finals day played at the Montgomery Course. This was a great achievement played within a pairs better ball format, as teams from both leagues competed in an overall competition, well done. As this will be my last update, I take this opportunity to thank everybody who has supported myself as Captain throughout the year; from the Committee to the members through to the staff. It’s been an interesting year for me in more ways than one but for certain it’s been a great honor to be your Captain. Not everything has been perfect, as is always the case in life but I will pass all the things I have learnt onto our 2014 Captain Bob and wish him great success. This leaves me to conclude by wishing you all again a Happy Christmas and a very healthy New Year from myself and Debbie. Autumn has once again flown by, with the very successful Autumn Festival at the end of September being quickly followed by Members Day on the 4th October. The day’s golf which was won by Terry Jennings in the men’s section and Kathryn Hughes for the ladies was followed by a fabulous buffet dinner attended by over sixty members, congratulations to Terry and Kathryn. I thought the atmosphere on this day was particularly special and big thanks from all of us to Rui Baptista of Baptista Supermercado of Luz for sponsoring the day. Thank you also to the bar and kitchen staff for looking after us so well. The Algarve Interleague competition has now drawn to a close this season and the club finished joint sixth. Once again our away form has let us down, but we can pride ourselves on being undefeated at home. Early November brought the Captains away days in Vilamoura. I hope everyone enjoyed the courses, especially the second day on the Victoria. It was lovely for me to see the event so well supported and I hope you all enjoyed the Hilton Hotel, its facilities and the whole experience. The Christmas Hamper competition will be on the board soon and will be played on Sunday 1st December. BRANDED will be providing the entertainment again and anyone who was there last year will know we are in for a treat as it will get us in the right spirit for the Christmas festivities. Last month we introduced a ‘pairs draw’ competition, the idea being to mix up who we play with and to see a few different names in the prizes. The next one will be on Sunday 17th November, please let the Committee have your feed back as to how you enjoy the change in format. Finally you will either have seen the notice on the board or on the web site about incorrect cards being handed in after our weekly competitions. Unfortunately errors continue to be made and the last thing the Committee wants is to disqualify people, especially if you are eligible for a prize; however this option will have to be used to ensure that we are diligent. Please note that as Captain of Floresta Parque Golf Club for the year 2014 I have chosen David Walling as my Vice Captain. David has been a long time member F.P.G.C. along with his wife Margaret, and I believe he will be a great asset to the club. He brings with him the experience of being Captain of Kendal Golf Club in England several years ago. Myself and all of the committee members look forward to him joining us in the coming year. Well, a lot has happened since my last update in July. Firstly in early September we had our third charity day of the year raising €540, thank you to all those members and guests who supported the day. The final day for this year will be on Wednesday 27th November, please support it if you can. In September we continued to enjoy the glorious warm weather we had all experienced throughout the summer. That was until the 14th September, yes my Captains Day, when we not had only the first rain since April but a good soaking most of the day. However I am pleased it did not spoil the event, as we had 85 golfers playing and 123 for dinner in the evening. The mens winner was Bob Kelly with 38 points and the ladies winner Helen Young with 40 points, congratulations to you both. As I said on the night, thank you to everybody for their great support, I hope you all enjoyed the day, I know the staff at Santo Antonio enjoyed the evening as well as the band! Photos from the day and perhaps more interesting from the early hours will be in our gallery on the club web site later, if anybody cannot remember what happened! Captains Day was swiftly followed by what is now our annual 70’s competition. This event was extremely well attended coinciding with a normal competition day. On behalf of all the 70’s, many thanks to Brian Newsham who again sponsored the event. Mike Hussey won the mens section and Margaret Haddon the ladies, the competition was followed by a great BBQ and music. With no time to recover, the Autumn Festival commenced on Friday the 20th September with a Texas Scramble and another five days of golf to enjoy. The event was played out in great conditions, very warm benign weather, that is until the afternoon on the last day when those of you who were on the course after 2.30pm experienced a soaking, including me. However we had a great week, some very good scores were recorded and the whole team of shop staff, green staff and kitchen and bar staff did an incredible job. Our special thanks to Isabel Coelho the Santo Antonio General Manager for providing a very successful Autumn Festival enjoyed by members and visitors alike. From here we look forward to our Members Day sponsored by Baptista Supermecado of Luz on October 4th with a free day and dinner for all Golf Club Members and thereafter our Away Trip in early November. I hope you are enjoying your summer wherever you maybe, either back in northern Europe or enjoying your time here in the Algarve. For once temperatures between the two areas do not seem to be much different, but will it last?? The beginning of July here saw a very successful Ladies versus Mens competition and I hope all those who competed and stayed for the great BBQ enjoyed the day. The Men were flattered by a seven games to three victory this year. Our Interleague Team is presently lying forth in the league after a recent 4 -1 victory against Penina. We have three matches left to play, so hopefully we can move up the table to finish nearer the top. 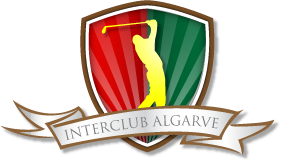 You can follow our progress on the http://www.interclubalgarve.com web site. As we enter into a quiet few weeks at the club I would just like to remind you all, of a few dates which start our hectic autumn schedule. Captains’ Day approaches rapidly and is on 14th September, the competition sheet will be put on the board in the next couple of weeks. However if you are not here before, to put your name on the sheet and choose your meal, do let Carol Newland or myself know via e-mail if you would like to play and what you would like to eat. ( thenewlands@sapo.pt lanarios@hotmail.com ) Menu choices must be made latest 4th September. The competition is a Singles Stableford, yellow tees for men and tee times start from 9.00am. If e-mailing please give an approximate tee time choice and also the menu you require for the evening meal. The poster detailing the day along with the menu choices are on the web site and will be on the notice board shortly. Once we have all recovered our breath from Captains Day, 18th September sees the over 70’s competition. This year the competition will be followed by a BBQ and music, the music being kindly sponsored by Brian Newsham. Of course this event is closely followed by the Autumn Festival which starts on September 20th finishing with the Gala Dinner on Wednesday 25th. I hope you enjoy the festival and play well. Finally our members’ day this year is on October 4th and there will be a dinner and music in the evening, if the event follows last years example, great fun will be had by all. After two consecutive days of playing golf in very difficult conditions we congratulate our 2013 Men’s Club Champion, Mike Abbott and our Ladies Club Champion Suzanne McEvoy. In a close competition, Suzanne came from behind after the first day to win from Thelma Pickard with Linda Anthony coming in a close third. In the men’s, Mike led the field over the two days, with Vice Captain Bob Hart second and Brian Matthews third. All results are posted on the web site. Well done to everybody who competed and especially to all of those who won a prize. Along with this must be a big thank you to Rui Baptista of Baptista Supermercado in Luz who sponsored the day and generously donated the prizes. I am pleased to announce that Isabel Coelho of Santo Antonio Villas, Golf & Spa has offered to donate two prizes a month on our competition days to the club. These are dinner for two in the Trattoria to the value of €50 and a spa treatment valued at €35. The winners will have their card picked out from those competing on a singles competition day and will have to be present when the draw takes place during the competition prize giving. On a couple of house keeping matters, please ensure all pitch marks are repaired and that all bunkers are raked after visiting them. Can I also remind you that competition-winning vouchers are only valid for a year and these can be easily spent in the bar! In the meantime I hope everybody enjoys the Men’s versus Ladies competition and BBQ which takes place on the 5th July. Will it be as close as last year when Glynis Bredo chipped in on the 18th to half the match ???? When I wrote the last update in mid March I certainly did not anticipate experiencing the last seven week as I have. As the vast majority of you know,I was struck down with a rare disease which totally incapacitated me, but I am now happy and very relieved to say that I am on the road to recovery,although still in a rehabilitation hospital where I shall be until I regain my strength.My sincere thanks to everybody for their good wishes and especially for helping Debbie through this difficult time, it has been an immense help and support to both of us. Whilst I have been away,the Golf Club continues to go from strength to strength and my thanks go to the committee for continuing to oversee Golf Club matters. The Charity Day where our normal entry fee is donated to charity,raised 412 Euros,so many thanks to all members and visitors who participated that day.The next one is scheduled for late June and I hope as many of you can attend as possible to make it another successful day. Congratulations to Suzanne McEvoy and Debbie Lanario for winning the recently held Ladies day. The day was a typical PDF day with bright sunshine with a strong challenging wind,but the conditions did not deter the participating Ladies who enjoyed the golf and the dinner afterwards. In my absence a thanks to Carol,and Bob who I hear was ably assisted by Francis for organising and running the day, along with a very big thank you to Sophie from Sophie’s Golf Shop in Odiaxerre for sponsoring the event and to Rebecca Smith for sponsoring the nearest the pin holes. Speaking of sponsors, Rui Baptista of Baptista in Luz has kindly agreed to sponsor our Club Championship to be held on the 15 / 16 June. As always,apart from determining the 2013 overall Ladies and Gents Club Champions there are several other prizes to be won. The entry competition sheet will be on the notice board shortly or please e-mail John Brodie if you wish to enter and are not presently here,good luck to all. When I commenced writing this in mid March, I wrote that the month had been a pretty wet month so far, but we had been lucky not to suffer changing any of our club competitions into singles, or cancelling because of the weather. Of course all that changed on Sunday 16th when we actually received the weather forecasted, a day of heavy rain and had to cancel the days play. Although scores in general for all competitions have been relatively low during the course of this year, which we understand is the same for most clubs throughout the Algarve, our ‘2’s competitions have been particularly interesting, in so far that since the turn of the year we have had three occasions where there has been only one ‘2’ and three occasions where there has been only two ‘2’s. The lucky winners when there was only one, went home with €90 and €85 respectively, so keep entering, you never know! All our thanks to David Haddon who celebrated his birthday on a comp day in February and treated us all to cake and drinks, very generous David. Recently, we have had our second social night of the year, this time it being bingo. 56 people turned out and it was a great success with Kate Evans winning €100 on the last game of the evening, stand up / sit down bingo. Many thanks to all of you who supported the evening and to those who helped organize the night. I have now finalized the details of the Away Trip which will be held in Vilamoura on the 7th / 8th November. We are staying at the Hilton Vilamoura and playing the Millennium and Victoria courses, the latter being the host of the annual Portuguese Masters. I hope as many people who can, will join us, as in previous years this event has been great fun and very successful. Full details are on our website, sign up by either e-mailing myself or Carol Newland or just putting your name on the form which will be put on the club notice board in the Spike bar after the Easter Festival. At our last club Committee meeting we also confirmed the following dates. 10th May Ladies Open, pairs better ball, open to all ladies, members and non-members. The competition will be followed by prize giving; the 1st prize being sponsored by Sophie’s Golf Shop, the day will end with a three course meal. Details are now on the notice board; please register your pairing in the golf shop. We will again hold a raffle and players will be asked to donate the prizes, please give all prize donations to Carol by the end of April, thank you. As previously advised the Club Championship will take place over the weekend 15/16th June. The Ladies v Gents comp, which was so successful last year, will be held again, this time on the 5th July. All being well a BBQ will conclude the day and it will really be our Summer Party. More details to follow. Moving further ahead, Brian Newsham has kindly offered to sponsor the prizes for the 70’s competition and this will be held on the 4th September, again more details will be available nearer the time. So, you can see we have a lot to look forward to, but lets firstly look forward to some spring fine weather and a successful Easter Festival. I am pleased to confirm I am now in a position to announce the details of the Captains Away Trip on the 7th & 8th of November. As previously announced it will be held at Vilamoura playing the Millennium course on the first day and the Victoria course on the second day. The Arnold Palmer designed par 72 Victoria course is well-known as being the host for the Portuguese Masters. Both courses are within 5 minutes drive from the hotel. We will be playing the Millennium course on the first day, the 1st tee time is at 9.38 am. On the second day we will be playing the Victoria course and the 1st tee time is at 9.40 am. In the evening there will be a Gala Buffet Dinner and Prize Giving at the Hilton Vilamoura. Cost per person for Golfers sharing a room is €330. Cost per person for non golfers is €130. For single occupancy, a supplement of €40 per night should be added. B & B, please advise when booking. We have negotiated with the Hotel Spa discounts of 10-15%, for pre-booked treatments. The Hilton advise us the Spa is the biggest of its kind in Europe. Please ask for brochure and details if interested. Bed and Breakfast for two nights at the 5 Star Hilton Vilamoura Golf Resort and Spa, Vilamoura. Gala Buffet Dinner and Prize Giving on the 8th November, including wine, beer, soft drinks and water. The hotel room rate and golf fees have been heavily discounted. or Carol Newland on thenewlands@sapo.pt or putting your name on the sheet pinned to the notice board in the Spike Bar. If past events are anything to go by, we should have a great time. I AM PLEASED TO ANNOUNCE THAT THE CAPTAIN’S AWAY TRIP FOR 2013 WILL BE HELD IN VILAMOURA ON THE 7TH & 8TH OF NOVEMBER. THE COURSES PLAYED WILL BE THE MILLENNIUM AND THE VICTORIA, WHICH ARE SITUATED CLOSE TO THE HILTON HOTEL VILAMOURA WHERE WE WILL BE STAYING. FINAL DETAILS ARE STILL BEING NEGOTIATED AND MORE INFORMATION WILL FOLLOW EARLY MARCH.